Conducting a web site content audit for your company web site is an excellent way to keep tabs on the content that appears on your site as well as how effectively that content is attracting online traffic converting clicks. It’s not enough to merely get people onto your web site; your web site has to also be engaging and easy to use. Otherwise, you run the risk of people needlessly clicking on your site and then subsequently leaving it without even the possibility of making a sale. If you find yourself wondering, “Why doesn’t my business appear in Google local searches?” then it’s time that you implement an SEO technical audit for your business web site. In layperson’s terms, all this really means is that every once in a while you have to take a thorough inventory of everything that’s on your web site and either remove, replace, or update irrelevant and outdated content. You also need to make your web site as user- and search-friendly as possible so that potential customers don’t get overwhelmed or frustrated if they can’t find a specific piece of information that led them to your web site in the first place. You need to have a firm understanding of local and international target audiences (if one of your priorities is to expand your business) and use this information to your advantage. Use sitemaps to customize user experience based on location and to make your web site stand out more than your competition search engine results pages on a local and global scale. This is the most effective way to make sure your web site is found in Google searches. The first step involved in creating great web site content is to figure out what your niche market is and establish branding that’s specifically geared toward that. This will help you decide what content is important enough to add to your web site and it will also draw in your desired customer base. Once you draw in your target audience however, you have to find new and innovative ways to keep them interested in your content, your products, and your overall brand. That’s where things can get tricky because you need to make sure that you’re constantly adding new content to your web site. The goal is to keep people coming back for more, but you also have to make sure that whatever content you’re using is well-researched and contains quality information that’s relatable to a large customer base. Regular web site content audits for your local business will help you stay on top of this very easily. After all, no one knows your business better than you do, so it makes sense for you to have a say in the content that’s prominently featured on your site. Nowadays, information moves at a much faster pace than ever before. Everything is instantly attainable and downloadable online and if you want your business to succeed in this unprecedented fast-paced world, then you need to keep your content as current and accurate as possible. It only takes a quick Google search to debunk any information that comes off as false advertising or misleading. Web site content audits afford you invaluable opportunities to find discontinuity in your web site content and fix the problem before your customers even notice it. The more relevant content presented on your web site, the more your customers will trust your business and want to invest in and support it willingly. 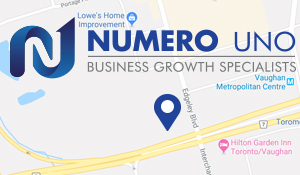 Numero Uno Web Solutions provides SEO solutions to startups and small businesses across numerous industries. Our long list of clients include companies based in Toronto, Richmond Hill, Vaughan, as well as various locations in the U.S., such as Texas, Massachusetts, and Florida. 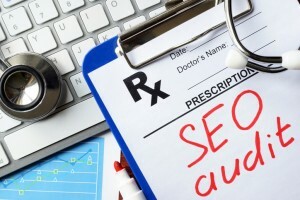 For more information on our web site content auditing services, please call us at 1-855-SEO-XPRT.